The Ministry of Environment (MINAET) made it a condition for gas companies to change the cylinder valves if they wish to continue operating in the country. The condition is real as 90% of the concessions to gas suppliers expire this year. The MINAET, responding to two serious compressed gas tank explosions in the past several weeks, one of them taking the lives of three and seriously injuring two more, is getting tough on an industry that has pretty much gone unregulated. The first change will be to eliminate the coupling valve to a threaded valve system as recommended by the fire department. 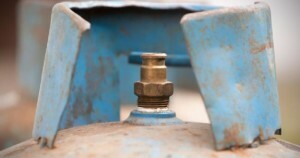 Portable gas tanks used in kitchens in homes and business across the country use a coupling system, unlike the threaded used for bbq tanks, that has been known to leak. The other change is that suppliers keep record of the gas tanks and that no tank can be in use for more than 10 years. So far this year, the Cuerpo de Bomberos (fire department) has responded to 705 emergencies related to gas tanks. The MINAET has also begun visiting gas bottling plants operating around the coutry to check whether they comply with safety requirements established by law.